The Gardner Mountain neighborhood was Jan’s families first home in 1964. 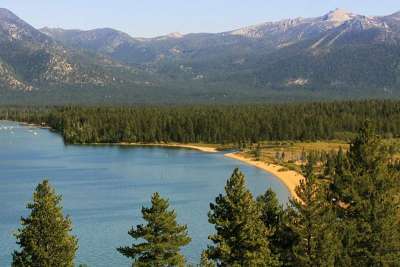 It was and still is a wonderful location for a family with growing children as you are minutes to three of Lake Tahoe’s nicest beaches, Pope, Baldwin and Kiva all of which have their own special characteristics. The beautiful South Tahoe High School campus is unobtrusively located at the top of this neighborhood hidden by old growth Sugar Pines and Jeffery’s. Residents of Gardner Mountain also enjoy many trails that meander through miles and miles of U.S. Forest Service land and once you learn the way one of these trails will lead you to the shores of Fallen Leaf Lake. There is quick access to the bike trail which the whole family will enjoy. It is an easy ride to Camp Richardson where you can enjoy a lunch or dinner on the Lake at the Beacon Restaurant. Continue on the same route and you can visit the Valhalla Historical site where locals and visitors alike enjoy events such as the Renaissance, Great Gatsby, and Kokanee Festivals and of course the popular Oktoberfest. Further down the trial you cross over Taylor Creek were you might want to take a break to view the Stream Profile Chamber and just take in the beauty of Tahoe. Gardner Mountain residence also have the amenity of being close to shopping and many of the locals favorite restaurants ranging from Burgers to fine dining. As with many of our South Shore neighborhoods there is a mix of Old Tahoe cabins, the 60’s and 70’s ranchers and Chalets, newer homes built in the 80’s, 90,s and the custom homes built over the last 11 years. There are approximately 370 homes in this neighborhood with lot sizes most commonly being 50X100 or 50X200. There are many pluses to living in the Gardner Mountain neighborhood for Locals and vacation home owners alike.